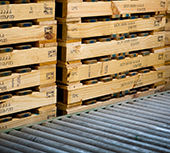 Ship internationally with confidence, using GPC export-certified and stamped product. We have many decades of experience producing road and sea-tested industrial packaging products, to help ensure your finished goods not only arrive safely, but pass through customs! 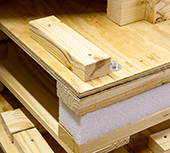 Many export products require special assemblies and custom wood packaging – often combined with other materials such as foam inserts, skidmate cushions or a variety of other materials. Durable. Custom. Quality. These are the hallmarks of GPC export packaging. 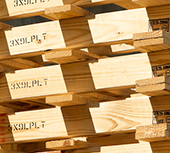 At General Packaging, we source heat-treated lumber and are rigorous in our IPPC ISPM 15 certification, verification and stamping of wood packaging used in export shipments. We partner with a 3rd party inspection service to help us ensure compliance.